If Blizzard can’t be bothered to make an “Era” graphic, we can’t either. It’s easy to forget with most of the attention on Seasons in Reaper of Souls, but the non-seasonal characters exist in limited time increments that mimic those of the Seasons. They are called “Eras” and they have leaderboards, varying styles of play (depending on the patch and the items available), and other aspects just like Seasons do. As Season Two is about to end, so is Era Two, with similar consequences for the poor damned souls caught up in the conflict. Era 2: Non-Seasonal Leaderboard Wipe. The end of Season 2 is fast approaching, and with it, the end of our second Era. 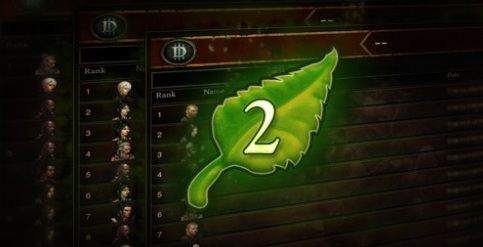 In Diablo III, an “Era” refers to a specific period of time in which non-Seasonal leaderboards are active. At the end of an Era, all current non-Seasonal leaderboard standings will be wiped and players will be unable to attain new leaderboard ranks until a new Era begins. Similar to Seasons, players will be able to view previous rankings in-game and as well as on our website. At the end of Season 2, all heroes created during the Season will become non-Seasonal and will be able to compete on the Era 3 leaderboards. For more information on the end of the Season and upcoming Season rollover, click here. Thank you for participating in Era 2! We look forward to seeing you in Sanctuary. I haven’t played any non-Seasonal during S2, other than on the PTR, and wasn’t planning to. Not while I’m still trying to kill off my HC DH in Grifts with numbers beginning with 4. Reading this though, I’m tempted to log on and rediscover my older chars and see what my S1 heroes look like, preferrably before I delete them and churn their gear to make room for the chars I’ll be creating in S3. There’s a lot of late season Grift Leaderboard action in Season Two, and I’d assume it’s the same for the people playing in Era 2. Any testimonials? Initially Blizzard was planning to keep Era 2 open after S2 ended. Very happy to see they've changed their mind, I made a post on the bliz forums requesting this. Looking forward to Era 3 with Raiment! That’s great! I was worried about how I was going to increase my bloodshard cap, as I have a pretty good personal best in non-seasons and that character since died; I haven’t been able to get back up there since. So, two bits of good news! 1. My leaderboard spot won’t be forever drowned at the last minute by characters hitting the scene with S2 exclusive gear and gems. 2. Everyone will be able to set new personal bests and unlock higher bloodshard caps. To answer the post’s question… there hasn’t been an influx on the NS leaderboard so far.. I got Solo Monk #70th on Mar 26th; today it’s #71, so only one new entry in the top 70 in the past 10 days.